Purple #1 feminized Marijuana is a classic Cannabis seeds very suitable for outdoor cultivation. It is fast, soft and offers a colorful high. Purple #1 is the world famous original purple high created in the early 90's and has been sought for its unique purple colorations and amazing psychoactive high. The plants thrive extremely well to outdoor climates and yielding an interesting production. This specimen has been widely used by other seedbanks to create their strains. Our Original Purple #1 was mixed with good strains, both sativa and indica (50/50). The indica genetics was inherited from a very special purple Afghan strain which was meticuously crossed in Holland along with some excellent Indica strains in order to create a specimen resistant to cold and bad weather. 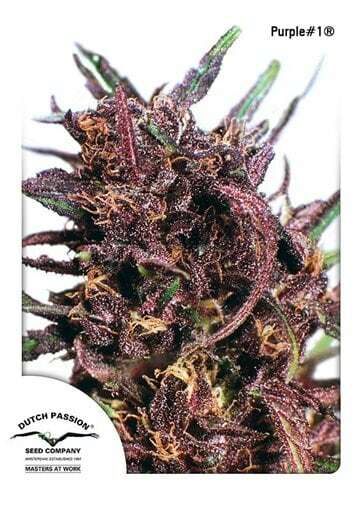 This strain offer an interesting production ranging from 250-350 grams per plant. Besides that, the stems quickly acquire purple tones as the flowering starts and the buds becomes adorned by small sticky purple leaves. The height of Purple #1 ranges between 1.5 and 2.5 meters and is strictly recomended for outdoors and greenhouses ending quite soon it maturation. The large leaves show outstanding purple colors. 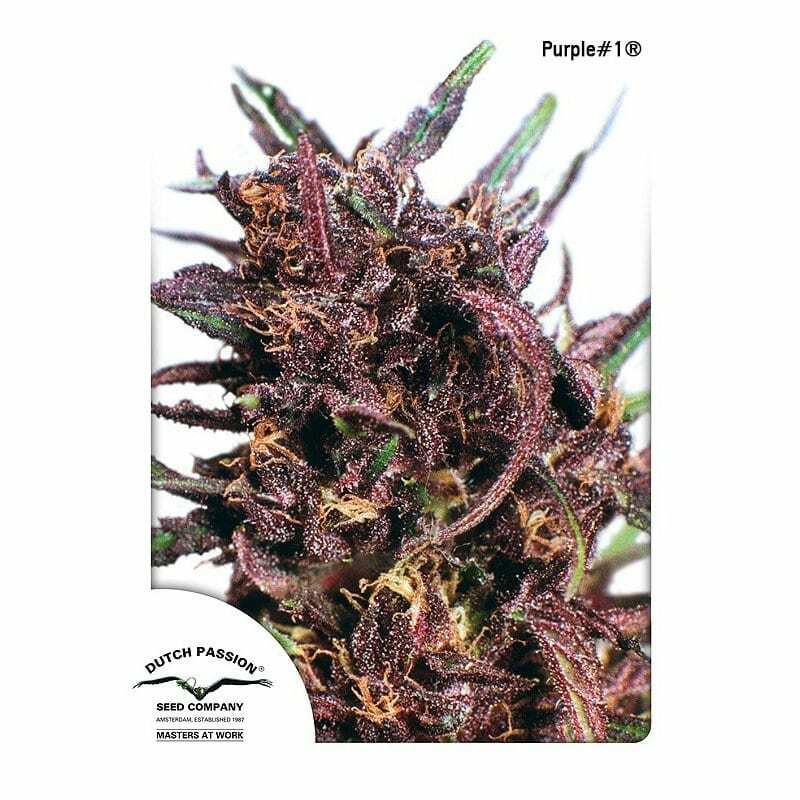 Due to its elegance and beauty, Puple #1 has kept several fans for decades and remains a popular plant thirty years after being launched on the market.